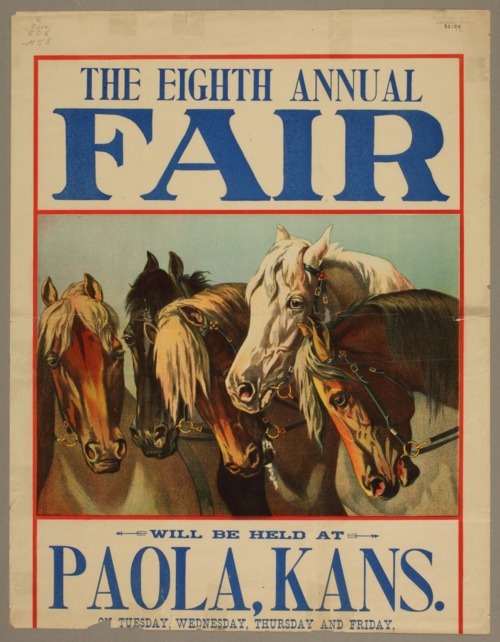 This poster advertises a fair to be held in Paola, Miami County, Kansas. It will be held Tuesday through Friday in September 1896. No other information is given. The illustration on the poster is heads of horses.